What’s the Farmers Cost for Water Quality? | MICHIGAN GROWN. MICHIGAN GREAT. What’s the Farmers Cost for Water Quality? Are farmers looking to make a profit? Sure, but what business owner doesn’t look to make a profit? However, farmers also have environmental stewardship on their mind. In fact, profitability and environmental stewardship often go hand in hand as many conservation practices also make sense financially. Even though all farms in the Western Lake Erie Basin play a role in the future of the lake, Lake Erie’s condition isn’t just due to area farms, whether livestock or crop. The condition of the lake depends on many factors, and agriculture is just one piece of the puzzle. Technological advances in agriculture have allowed farmers to do more with less. We can grow more food on fewer acres than ever before and manage crops with the utmost precision so that all resources including soil and water are used as efficiently as possible. 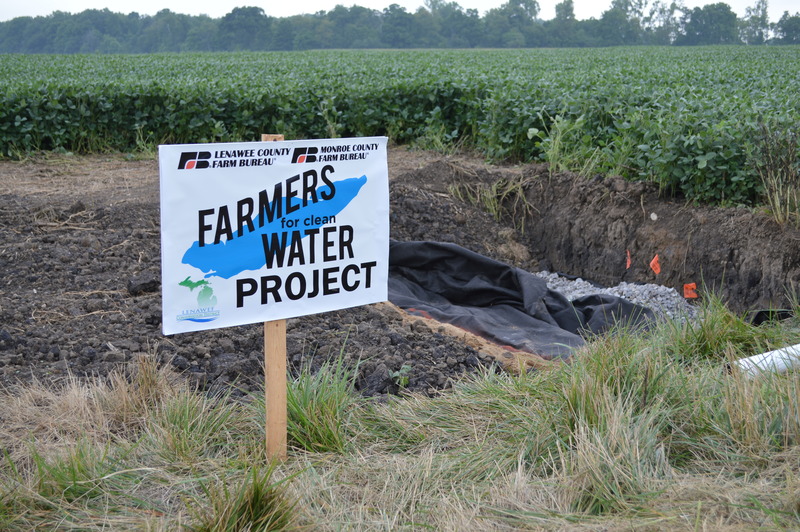 Farmers have installed Drainage Water Management structures on tile outlets along ditches. This practice is suitable for flatter fields and allows nutrients to be held in the field longer for the crops to utilize without flooding the field. Grass filter strips along water courses help to catch nutrients and keep them in the field during rain events. Farmers don’t want to apply more nutrients (fertilizer, manure, etc.) than the crop needs because nutrients are valuable and expensive if purchased, and their use follows the law of diminishing returns. Therefore, soil testing is done and nutrient prescriptions are written for each field according to the soil test. After a field is soil tested then nutrients are applied at agronomic rates (read: just the right amount), so that the crop can be successful. Cover crops are planted in the fall to help to recycle nutrients and hold the soil in place over winter. In addition, some cover crops such as legumes (like clover) fix their own nitrogen levels, which is then available for use by the next crop such as corn. No-till or minimal tillage planting practices allow farmers to plant their crops without disturbing much of the topsoil and previous crop’s residue. This practice saves farmers time and money by not having to till the soil prior to planting but it also helps to keep the soil from eroding. These are just a few of the ways farmers are working to protect and conserve our soil and water resources. It’s possible that many farmers could do more on their farm to help maintain or improve soil and water quality. Whether they implement some of the practices I’ve mentioned or try some new practices. However, we need to remember that Lake Erie isn’t going to clear up overnight and that agriculture isn’t the only culprit to blame for the lake’s condition. I’m certain that farmers will continue to do their part in striving to protect and conserve our natural resources. Our current and future generations depend on it. 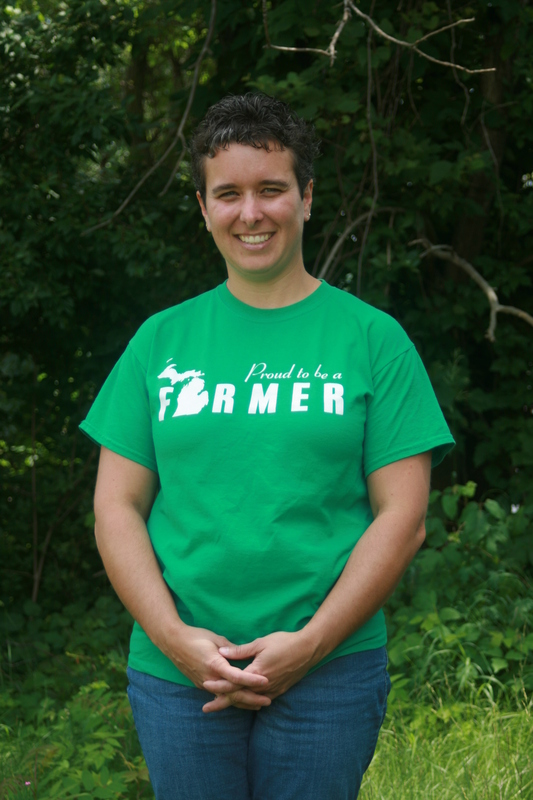 Lindsay Garrison is the District Manager for the Lenawee Conservation District. 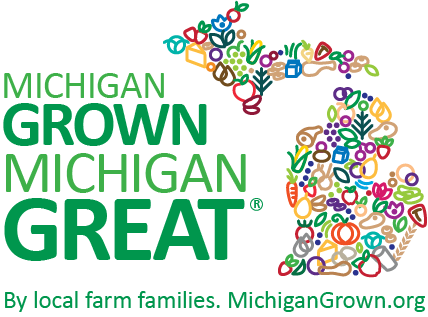 Lindsay resides in Lenawee County with her husband, Calby, where they raise beef cows, grow soybeans, wheat, hay, and two boys.